"If once a man indulges himself in murder, very soon he comes to think little of robbing; and from robbing he comes next to drinking and Sabbath-breaking, and from that to incivility and procrastination." Some authors -- like some tourists -- visit San Francisco just once or twice, or for special events such as Bouchercon 2010. In our final look at the city's mysteries, here are some authors who have set some intriguing novels in San Francisco before moving on to other venues. David Corbett: Done for a Dime -- The murder of an aged black saxophonist who used to play with the greats of blues music lays the foundation for a look at a community under siege, family ties, greed and lost ambitions in Done for a Dime (2003). While the search for the old bluesman’s killer alone could sustain an interesting mystery, Done for a Dime turns on a dime to explore the community of Rio Mirada, a multicultural suburb plagued by drugs and racism. Rio Mirada also occupies some prime real estate just north of San Francisco. 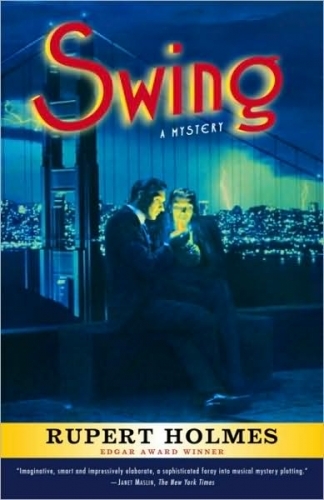 Rupert Holmes: Swing -- Holmes has mastered just about every entertainment medium. His plays and musicals include The Mystery of Edwin Drood and Accomplice, both Edgar winners, and Say Goodnight, Gracie. He created and wrote all four seasons of the Emmy Award-winning television series Remember WENN, set in a 1940s radio station. His first mystery novel, Where The Truth Lies, was made into a movie directed by Atom Egoyan and starring Kevin Bacon. And there’s a little ditty he wrote that was quite popular – Escape (The Pina Colada Song). The 2005 Swing is set during 1940 as a war rages in Europe; anti-German sentiments percolate in the United States and the San Francisco Golden Gate Exhibition on Treasure Island draws in visitors. 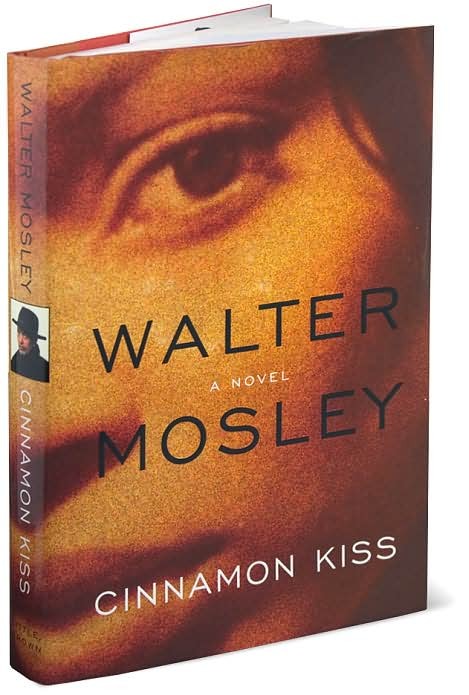 Walter Mosley: Cinnamon Kiss -- Mosley is most associated with Los Angeles where his reluctant detective Easy Rawlins lifes. But in this 2005 novel, Easy leaves L.A., still reeling from the aftermath of the Watts Riots for San Francisco to find a prominent attorney who’s gone missing with his assistant and a suitcase filled with documents. Easy could not be more uneasy in the San Francisco of 1966 where the streets are filled with hippies, Vietnam protests and a new generation challenges the ways of the old guard. Across the nation, the newspaper industry struggles with more papers laying off staff. But in mysteries, the newspaper industry thrives. Or at least makes for some darn good plots. The past couple of years have seen an uptick in mysteries set at a newspaper. These are timely novels that show the struggles of newspapers and how the fear of being laid off hangs over many newspaper staffs. A few set in the recent past make us yearn for the good old days. Anyone who has worked at a newspaper knows there is nothing like a newsroom culture -- the constant banter, the exchanging of ideas, the feeling that you are making a difference in people's lives. Not to mention the lifelong friendships and, of course, marriages that come out of newsroom. But we have our memories....and our mystery novels. Recently, some journalists from the first newspaper I worked and myself had some fun reminising about those old days, and trying to remember what ever became of our coworkers. Brad Parks' novel Faces of the Gone about Newark investigative reporter Carter Ross made my list of best debuts for 2009. Apparently I wasn't the only one who liked this novel as Faces of the Gone has been nominated for a Shamus Award in the best first category and for a Nero Award. Parks will learn if he or the other Shamus nominees take the prize on Oct. 15 during Bouchercon week; Nero award winners will be announced in December. Canadian author Rick Mofina has written three series about newspaper reporters, each of them set in the United States. His latest series hero Jack Gannon debuted in Vengeance Road, which is up for a Shamus for best paperback original. In his latest novel, Gannon teams up with a mother desparately looking for her child in The Panic Zone. He also has five novels in his award-winning series featuring San Francisco Star crime reporter Tom Reed and Homicide Inspector Walt Sydowski, also set in San Francisco. Blood of Others received the Arthur Ellis Award for Best Novel from the Crime Writers of Canada. Community journalism plays is a major factor of Bryan Gruley's excellent Starvation Lake was one of the best debuts for 2009. Gus Carpenter left his hometown of Starvation Lake to become a big-city reporter in Detroit. But scandal forced him out of his job and now he is back home working as an editor on the town’s small daily. Gruley's newly released second novel The Hanging Tree has Carpenter trying to find out why a young woman who left town 18 years ago apparently commits suicide shortly after returning home. With Bouchercon about a week away, I am continuing the ongoing look at San Francisco-based mysteries. I've been trying to come up with several legal thrillers based in San Francisco and, amazingly, I am coming up short. Surely San Francisco would be wonderful fodder for legal thrillers. So readers, help me out. If you know of other authors who write legal thrillers set in San Francisco, please post their names. 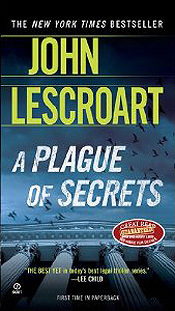 John Lescroart: A Certain Justice and A Plague of Secrets, among others -- Lescroart's series about attorney Dismas Hardy go beyond the courtroom to look at how a community deals with strife. Flawed characters, flawed ethics and a flawed legal system add up to exciting novels. In 1995's A Certain Justice, Dismas Hardy only makes an appearance as Abe Glitsky, the head of San Francisco’s homicide department, takes center stage when a race riot engulfs the city. The murder of a manager of a trendy coffee shop jumpstarts the energetic A Plague of Secrets (2009). Lescroart's latest novel is Treasure Hunt, the first of a new series about San Francisco private investigator Wyatt Hunt. Julie Smith: Death Turns a Trick -- Before she turned her attention to New Orleans and Skip Langdon and Talba Wallis, the heroines of her two Big Easy series, Smith wrote about San Francisco attorney Rebecca Schwartz. These novels are lighter in tone than her other two series, and often quite funny. Death Turns a Trick (1992) introduced the self-described "Jewish feminist lawyer." Before my first trip to the Monterey, I read Dead in the Water (1993), which is set at the Monterey Aquarium; on each visit I always look twice at those wonderful exhibits. "He always has an alibi and one or two to spare."